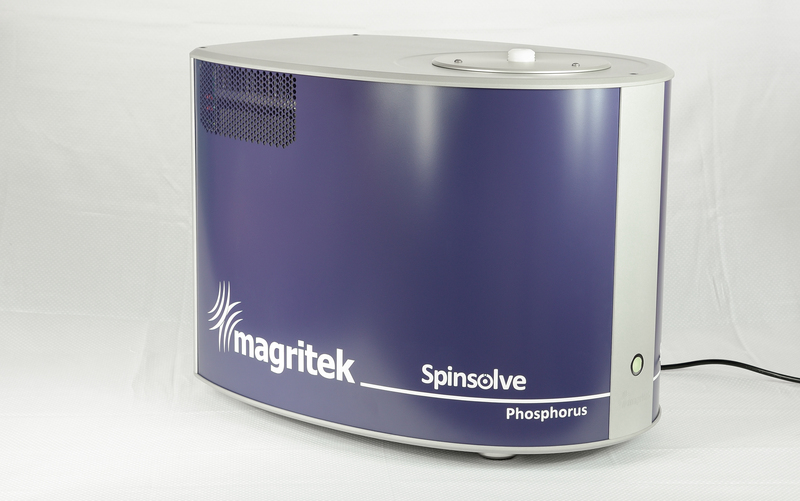 Magritek’s Spinsolve Phosphorus is the first Phosphorus-31 capable benchtop NMR spectroscopy system. The launch of Spinsolve Phosphorus has been designed to meet the needs of several groups of users: pharmaceutical and medicinal chemists, synthetic chemists monitoring reactions, industrial chemists measuring purity of their compounds, academics focused on organic chemistry education and researchers or post graduate students doing small molecule structure elucidation. To meet the requirements of these users, Magritek has produced a comprehensive list of features designed to deliver cost efficient benefits to all. Spinsolve Phosphorus offers users 1D 1H, 19F and 31P experiments that use standard 5 mm NMR tubes. 31P can be acquired with or without proton decoupling. Proton 2D COSY and homonuclear j-resolved spectroscopy are offered along with T1 and T2 relaxation experiments. The software aids to the simplicity of Spinsolve Phosphorus. Uncomplicated one-button operation with a minimum amount of user controlled parameters coupled to an intuitive graphical interface means the system can easily be operated by anyone from students to experienced research chemists. For reaction monitoring applications, the system may be automated and integrates closely with the industry leading MNova data processing software from Mestrelab. The traditional NMR complexities are hidden and automated which make using a Spinsolve a short and pain-free learning experience while delivering research-grade results.